Triple Crown Blvd. to Left on Whirlaway, Right on War Admiral, Left on Aristides. Tucked Nicely at the End of the Cul-de-Sac on the Left. 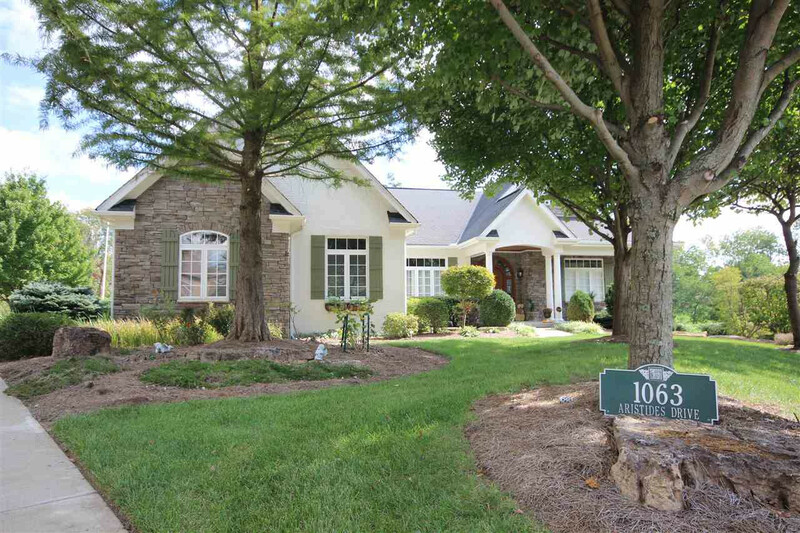 Full Brick Ranch w/3 Car Garage on Private Cul-de-Sac Lot Overlooking Pond. Large Rooms throughout w/Finished Walk-Out Lower Level. Gourmet Island Kitchen & Morning Room Walk-Out to Private Covered Deck. Site Finished Hardwood Floors are accented by 2 Stone Fireplaces, Custom Bookcases & Tall Ceilings Throughout. Beautifully Landscaped with Lighting & Irrigation System. View to Appreciated.